A freehold condo near Somerset MRT station featuring only 250 residential units. 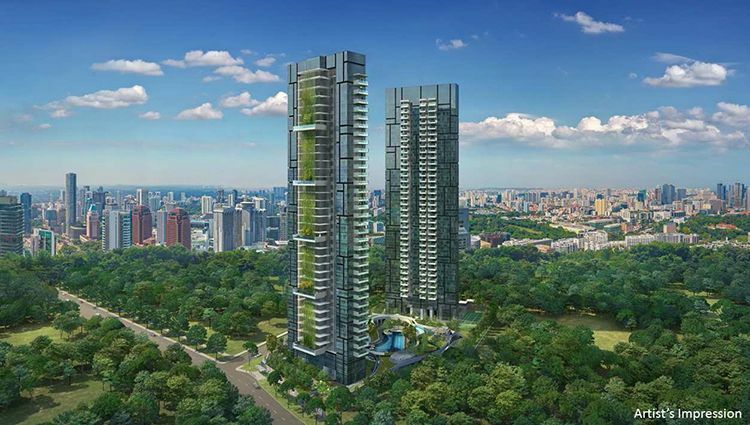 Property developer Bukit Sembawang has managed to sell a total of more than 20 units at its latest luxury freehold residential project, 8 St Thomas during a private preview over last weekend – in both Singapore and Hong Kong. Units were sold at an average pricing of around $3,000 psf, with the 1-bedroom units being priced from $1.42 million and 2-bedroom units priced from $1.78 million onwards. Chief executive of Bukit Sembawang, Mr Ng Chee Seng mentioned that the successful preview of the 250-unit 8 St Thomas condominium has shown that savvy property buyers are still very much attracted to quality freehold developments in the prime District 9 of Singapore – despite a much-shaken property market after the introduction of new property cooling measures by the government in early July 2018. Being a newly completed residential development, home buyers can immediately occupy the unit for personal use, or even get their units out on the rental market for investment purposes. Spanning across a land area of around 1 hectare, 8 St Thomas comprises two 35-storey residential towers with full condominium facilities. It has a wide range of unit types – from 1-bedroom to 4-bedroom apartment units, 4-bedroom dual-key units and penthouses. The floor area for these units ranges from 441 sq feet to 2,659 sq feet. 8 St Thomas is located within close proximity to the Orchard Road shopping belt, Somerset MRT station and also the future Great World MRT station.